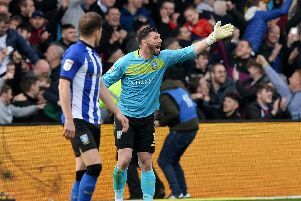 Sitting 16th in the Championship and on the verge of all but securing second-tier safety, thoughts have understandably turned to next season already at Sheffield Wednesday. But, after the disappointment of this campaign, it’s clear that some difficult decisions will have to be made at Hillsborough regarding the squad and injecting some fresh impetus may prove expensive. With that in mind, our team has scoured the transfer market to compile a list of nine players, currently playing in the Championship, whose contracts expire at the end of the current season, although the clubs of two do have options to extend. Click HERE to scroll through the list of players, and let us have your thoughts in the comment selection below or on Twitter, HERE.